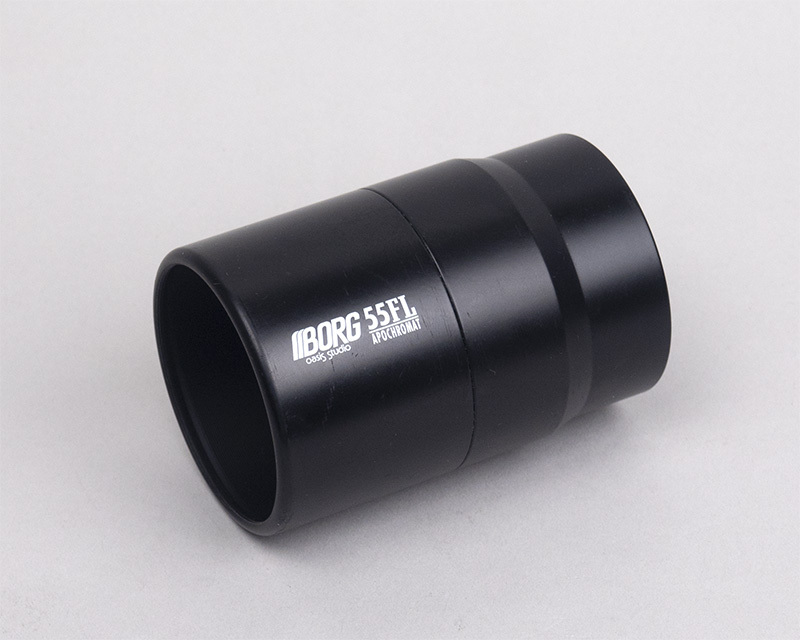 BORG 55FL F3.6 is the most challenging optical system as mentioned here several times. Shorter optical length, harder mechanically. But trying to figure out best possible solution is a kind of fun part as hobby too. And eventually I think I reached the final goal…..
BORG mechanical designer – Ishizuka san is genius. One day I asked him to consider the best solution for longer Series 80 tube with 55FL. This was his answer. It didn’t take time much to send me 3D CAD drawing. So I made the one for testing purpose. This adapter’s big features are to convert into Series 80 tube and to allow to use a longer main tube. Very clever idea. This gave me the advantages at various points. Here is final and real setup. Generally weight balance is way back heavy in small objective lenses. But this still allows to set in balance and rotate a camera without interfering with a plate. And no lens squeezed either because the lens is isolated inside a tube. I tried to play around several different systems so far. But I believe I have reached final goal eventually. 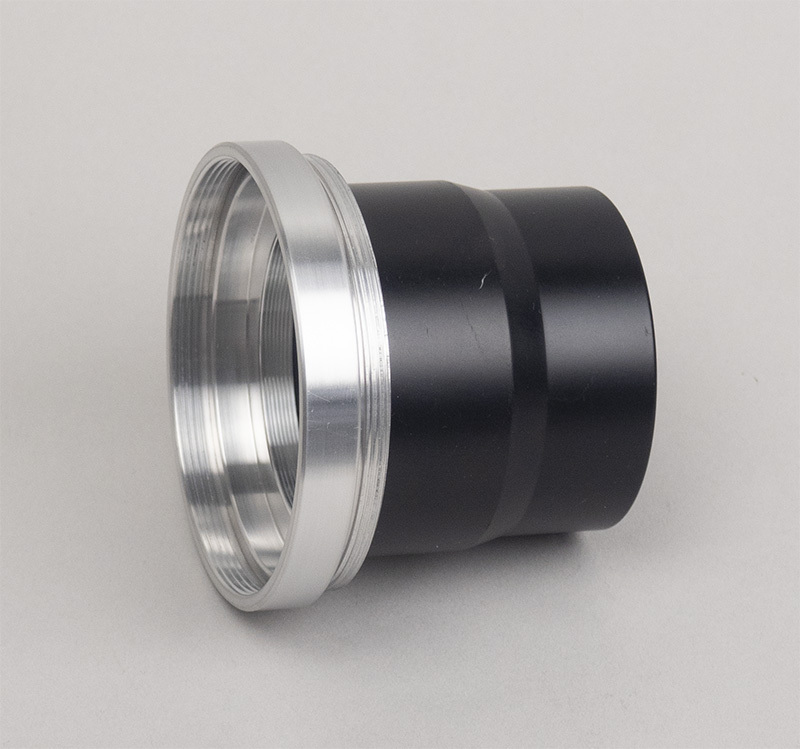 This M77.6 focuser is smooth and solid enough, and very reasonable cost compared with FTF in quite similar quality and performance. I love this system. I have decided to go ahead commercially making this adapter and will add this system as one of standard packages shortly. Yes, commercial units have the anti-reflection finish. ~ by tedishikawa on July 18, 2018.